Salmon is a great source of omega-3 fatty acids and can be introduced as a regular part of a child's diet very early. I love this recipe because it is mildly sweet and introduces a familiar flavor of orange and lemon which kids generally love. This can be made with a large family-sized fillet (great for company!) or smaller, single sized fillets (which can be split between young children). 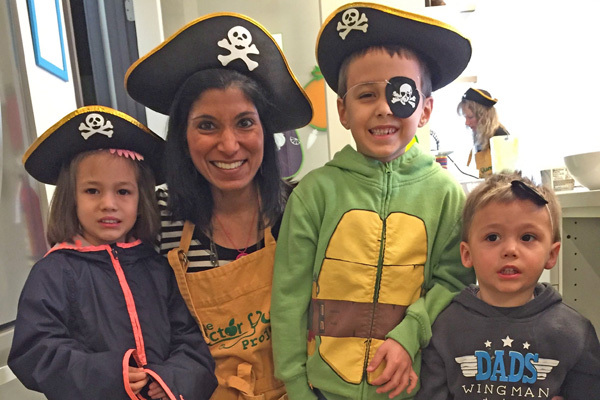 We recently had a Pirate Party at the Doctor Yum Project kitchen, where we made healthy pirate foods for preschool-aged kids. 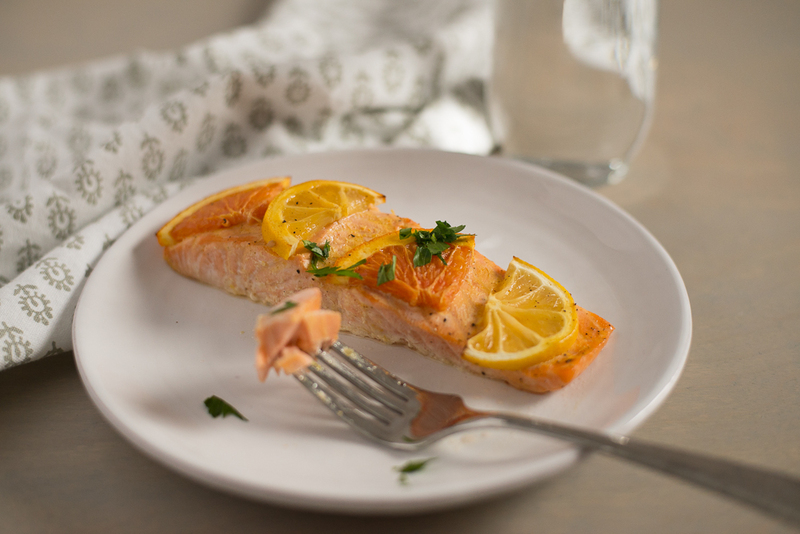 For reluctant eaters or those new to salmon, introduce salmon with a “Salmon Roll-up.” Shred up some of the fish first. Then spread some cream cheese on a whole wheat flour or corn tortilla, and sprinkle the salmon on top. Roll up the mixture tightly and slice into little bite-sized slices. This worked great at our Pirate party and parents were amazed to see their kids eating fish! Great idea for school lunch. Preheat oven to 400 degrees. Place fish on a baking sheet skin side down and lightly salt. Mix grated lemon rind, fresh lemon juice, honey, chili powder, ground cumin, red pepper flakes and juice concentrate in a saucepan and before heating, brush the fish with the orange mixture. Place orange and lemon slices on top and bake until flaky (about 15 minutes for small fillets and 20-25 for larger, thicker piece). While the fish is baking, place the saucepan with orange mixture on high heat until boiling. Reduce heat to medium and cook about 2 minutes until reduced by almost half. When salmon is done (should be cooked but still moist on the inside), drizzle with this sauce and garnish with chopped parsley. If there is a family history of food allergies then talk to your child's doctor about when it is safe to start fish. For most babies however, soft flaky fish is a great first food for babies. Mash or cut fish into bite size pieces for new eaters to spoon feed or self-feed. Smoosh or blend into other soft foods for a smoother texture. Doctor Yum and her Pirate friends enjoyed the Shipwreck Salmon!